Located in the Los Glaciares National Park, the Perito Moreno Glacier is one of Argentina’s most beautiful natural attractions. The massive glacier spans 250 km2 (97 sq mi) , and is 30 km (19 mi) in length. It is one of 48 glaciers in Patagonia and the ice field here is the world’s third largest reserve of fresh water. 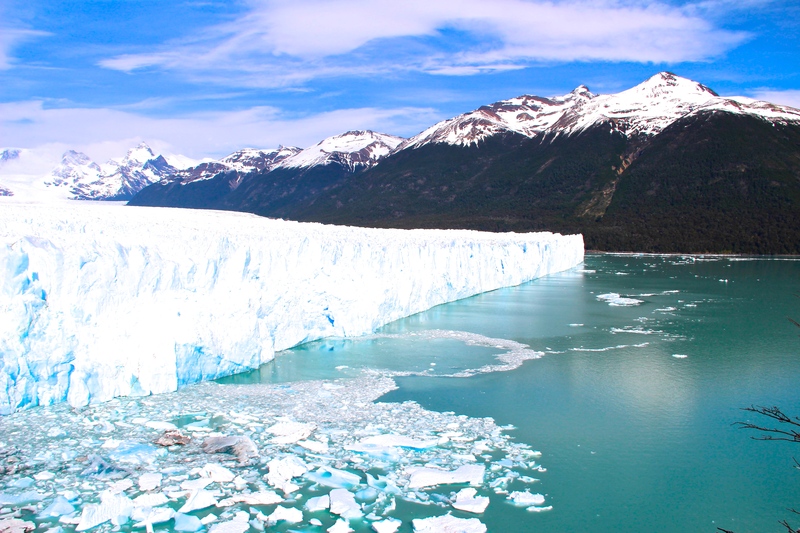 In stark contrast to 95 percent of Earth’s glaciers that are slowly disappearing, Perito Moreno continues to grow. The glacier was named after the explorer Francisco Moreno. Moreno is known for his role in defending the territory of Argentina in a border dispute with neighboring Chile. Spring in the southern hemisphere begins in September and lasts through November. December through February is the summer season in Patagonia. Because the weather is mild during these months, be sure to make your spring and summer travel arrangements in advance. These months are the best weather for hiking and sightseeing, and the largest crowds are seen in the months of January and February. November combines the best of weather and is just before the influx of large crowds. Be sure to arrive in El Calafate the night before the day you plan to tour Perito Moreno, as the majority of tours for the glacier leave early in the morning and require the entire day. Remember to pack layers for this trip! Patagonia can be subject to heavy winds especially as you travel further south. Good hiking boots and waterproof gear are essential. The sun here also can be very bright especially with the reflection off the ice, so don’t forget your sunglasses. El Calafate is a small city in Argentina near the edge of the Southern Patagonian Ice Field in the province of Santa Cruz. Non stop flights to El Calafate (Airport Code FTE) are available daily from Buenos Aires and take about 3 hours. There are two airports in Buenos Aires: Aeroparque Jorge Newbery, located in the city (code: AEP) and Ezeiza, which is about 22 km outside the city (code: EZE). Non stop flights to El Calafate are more often found from AEP. Once you are in El Calafate, travelers can either book a tour to the glacier or take the bus. 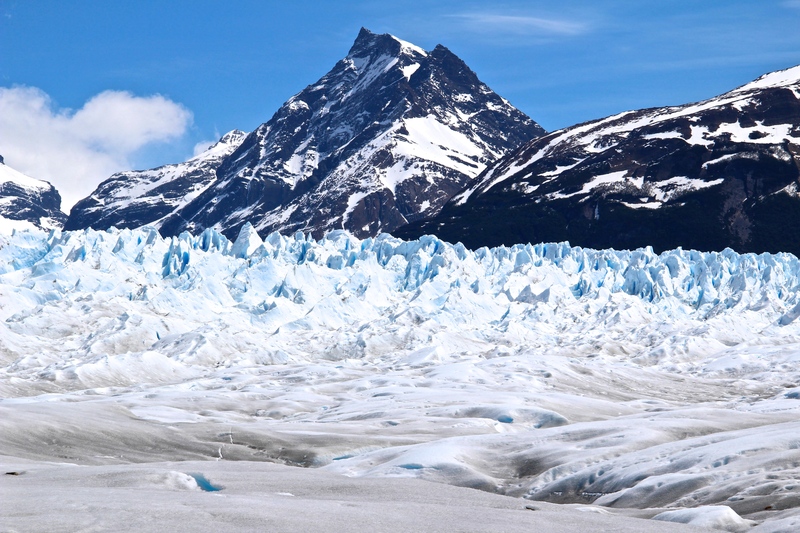 Viedma glacier, the largest glacier in Argentina, is also located in Los Glaciares National Park. However, you must travel from El Calafate to El Chalten, which is about a 3 hour drive away. 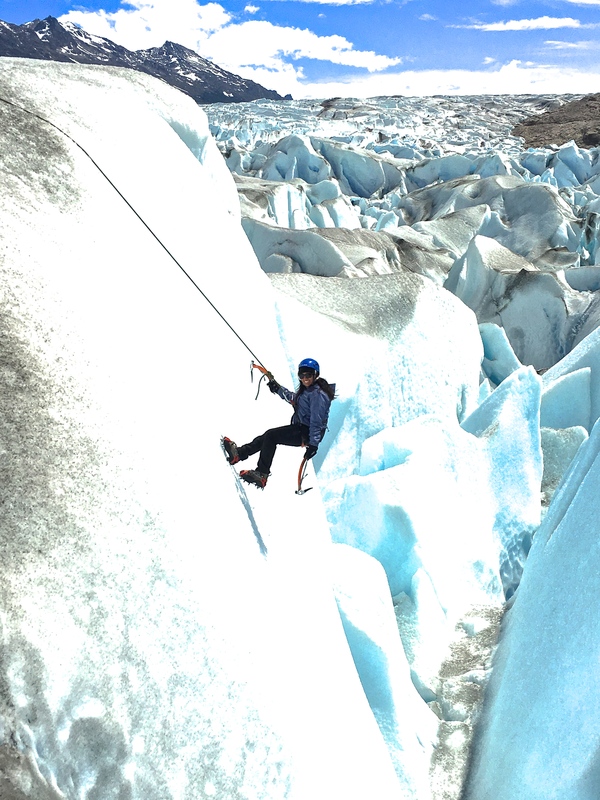 For thrill seekers, Viedma is a great place for ice rappelling. While it can be done as a day trip from El Calafate, staying overnight in El Chalten is a better option. Thanks to Nitasha, a night scuba diving, ice rappelling, class 5 white water rafting, black diamond skiing, oh and doctor / thrill seeker for sharing her tips on Patagonia!